The same gravitational force responsible for creating tides on Earth could be causing deep quakes on the moon, a new study confirms. A new analysis of data gathered by the Apollo missions confirms that tidal stress – the gravitational pull of the moon on the Earth and of the Earth on the moon – is responsible for causing deep moonquakes, the lunar equivalent of earthquakes. Seismometers placed on the moon during the Apollo 12, 14, 15 and 16 missions revealed the moon experiences deep moonquakes about 800 to 1,200 kilometers (497 to 746 miles) below its surface roughly every 27 days. Since this is about the time it takes the moon to make a complete circuit around Earth, scientists suspected the moonquakes were a result of tidal stress, but their exact cause remained a source of debate. A new study in the Journal of Geophysical Research: Planets, a journal of the American Geophysical Union, combined readings from two different seismometers placed on the moon during the Apollo missions in a new way. Using this technique, researchers analyzed 131 moonquakes occurring from 1969-1977 from the three most active moonquake sites and confirmed they are likely caused by built-up tidal stress on the moon. The tidal force causes Earth and its oceans to bulge out on the side closest to the moon and the side farthest from the moon. These bulges of water are high tides. On the moon, these same forces are occurring, causing a small-scale distortion of the entire planet, which scientists have named a solid-body tide. These solid-body tides create faults or cracks on the moon, which rub against each other when tidal stress builds up and result in moonquakes. Like Earth, the moon has a crust, mantle and core, but unlike Earth, the moon doesn't have tectonic plates, so it doesn't experience quakes when tectonic plates move into or past each other the way Earth does. While deep moonquakes are generally only magnitude 2 or smaller, they occur on a monthly basis, whereas quakes occurring along the same fault line on Earth may be decades or centuries apart. Moonquakes also last longer than earthquakes, which typically cease within a few minutes. Since the moon is much drier and cooler than Earth, the vibrations carry for longer, whereas Earth's more compressible structure acts like a sponge to absorb vibrations. 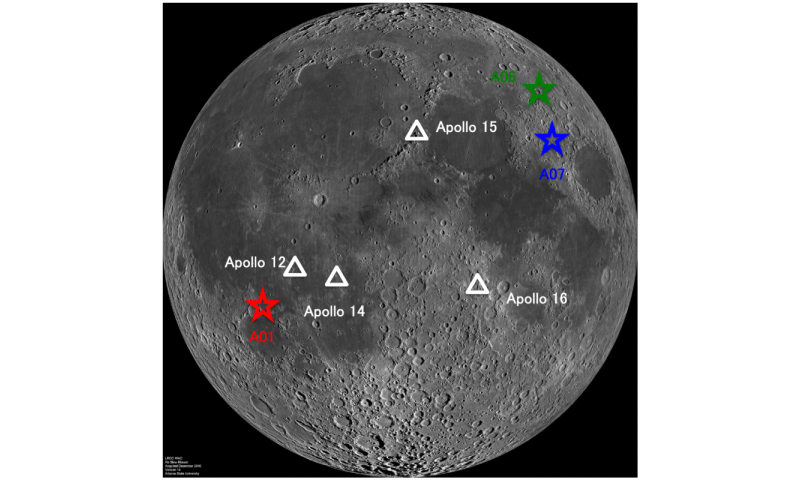 Previous studies of deep moonquakes using the Apollo data were limited, since neither of the two seismic instruments on the moon entirely captured the signals from the moon's activity—one detected high-frequency seismic activity and the other detected low-frequency seismic activity. Previous studies using only the readings from one of the seismometers underestimated the stress released by the moonquakes, and could not see the full relationship between tidal stress buildup and the stress released by the quakes, according to Renee Weber, a planetary scientist at NASA's Marshall Space Flight Center in Alabama who is not affiliated with the new study. The new study's authors used a new method that combined signals from the two different instruments. The combined data helped improve researchers' understanding of the faults where the quakes occur. The researchers were then able to relate stress released during the moonquakes to the buildup of tidal stress over the course of the month, and found the two values agreed. This confirms that the moonquakes are a result of the tidal stress, according to Taichi Kawamura, lead author of the new study and a planetary scientist at the Institut de Physique du Globe de Paris who is currently affiliated with the National Astronomical Observatory of Japan. The new study's findings also suggest the moon's mantle may be colder than previously thought, according to Weber. Scientists previously thought the areas of the moon's interior where deep moonquakes occur were warmer, which would make the faults more supple and malleable. 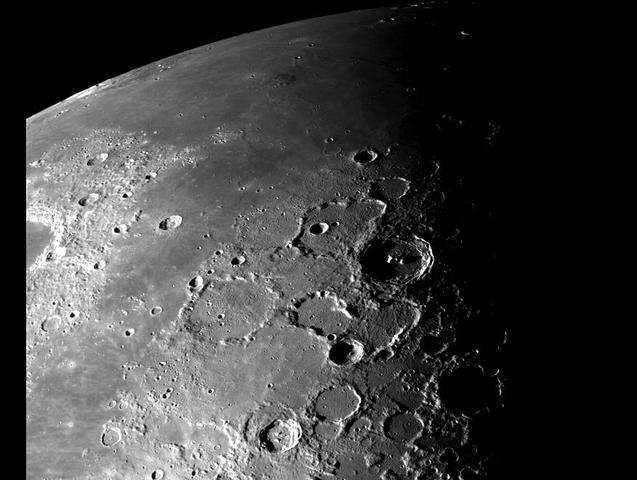 But based on the new study, the moon's faults would need to be brittle to endure the observed tidal stress and create the recorded seismic readings, meaning they may be colder than previously thought. More research is necessary to explore the implications for the internal temperature and composition of the moon, according to the study's authors. The new study also sheds light on what kind of instrumentation is needed for future space missions, such as the InSight mission to Mars scheduled for May 2018, according to Weber. "They similarly plan to send both a broadband and a short-period instrument, so it's possible that this same type of technique of signal combination in the frequency domain could be applied to those Insight instruments," Weber said. This story is republished courtesy of AGU Blogs (http://blogs.agu.org), a community of Earth and space science blogs, hosted by the American Geophysical Union. Read the original story here. f_d, you do not explain your evidence that scientists fail to understand matter. What is your definition of matter ans upon what empirical evidence do you base that conclusion. If you follow the comments posted to these articles, you will find a multitude of stubbornly held opinions disagreeing over every finding and violently attacking opposing opinions. Welcome to Science Disputations 100. No opinion is safe from ridicule. No fact goes unquestioned. No theory remains unscathed from contrarians. So pull up your big boy pants and prepare to defend your sentiments from scorn and mockery.